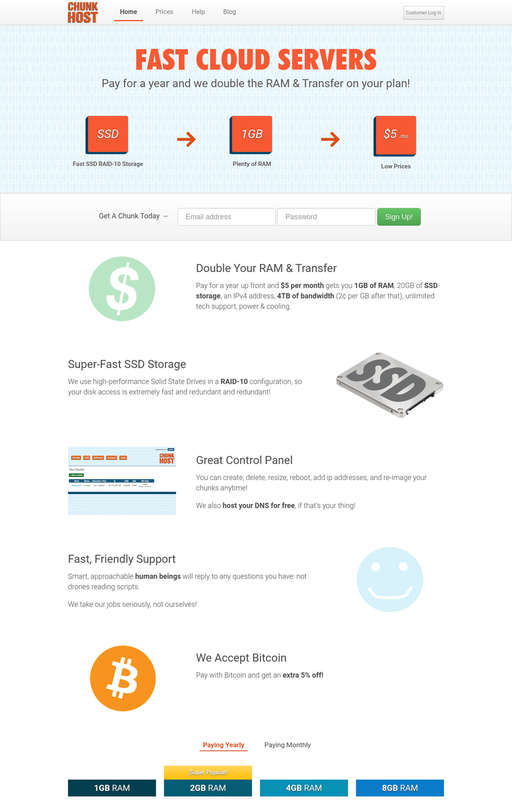 ChunkHost is a web hosting company offering virtual private servers (“chunks”) since 2008. Their data centers are located in Los Angeles, CA. ChunkHost is a reliable web hosting company featured to have a good good customer service and a customer base of loyal customers. They are one of the web hosting companies out there accepting crypto currencies like Bitcoin for web hosting services.